DesktopServer creates multiple “virtual servers” for development sites. This product installs and sets up WordPress sites on your local computer in seconds, creating local development test sites right on your desktop. If you are a WordPress developer or a WordPress user you’ve spent time looking for plugins. 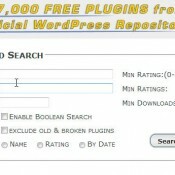 We are familiar with the Plugin Directory at WordPress.org, the go-to directory for free WordPress plugins. However, there is also a little known alternative that is arguably a more efficient way of finding plugins. Enter SearchWordPressPlugins.com! 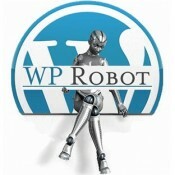 WP Robot is an efficient, time-saving autoblogging tool. It automatically posts new and relevant content to your blog. It features content from 21 different content sources, including 9 monetizing sources. It includes keyword campaigns, custom post templates, free support, and more than 100 customizable options. Let’s take a closer look at its features. 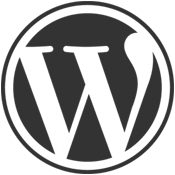 One can find WordPress plugins at numerous places on the Internet. In this post, we look at three repository websites for WordPress plugins.The first site, wordpres.org, offers free plugins. The two remaining sites offer Premium (not free) WordPress plugins. There are a number of WordPress plugins that allow you to customize the WordPress dashboard. Some have more features than others. In this post, we’ll look at two plugins that let you customize the dashboard and improve efficiency.